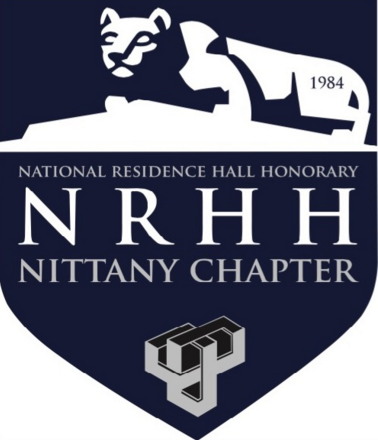 National Residence Hall Honorary: Nittany Chapter – Scholastics. Service. Leadership. Recognition. NRHH meets every Sunday at 6:00 pm in the Pollock Cultural Lounge. Current and perspective members always welcome! 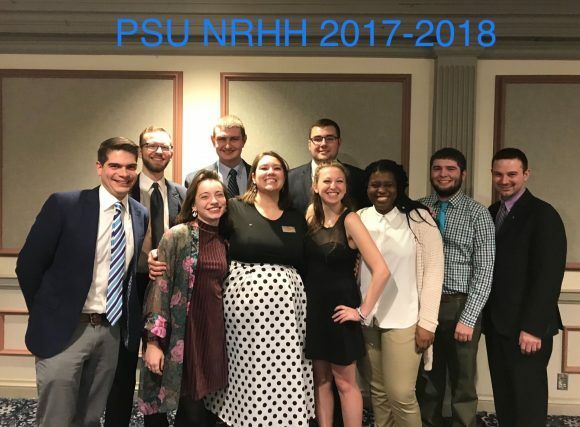 The National Residence Hall Honorary (NRHH) acknowledges those leaders who always go above and beyond the call of duty making their collegiate experience living in the residence hall more than living in a “dorm”. It is the premier honorary dedicated to recognizing the top 1% of leaders living in the residence halls. NRHH is a service of the National Association of College and University Residence Halls, Inc (NACURH). NRHH is the only national organization that exclusively recognizes leaders in the residence halls. Leaders across the country have contributed many hours of personal time in an effort to make the college experience meaningful to on-campus residents, yet are often unrecognized on their campus. Recognizing their contributions to their residence hall communities is the fundamental purpose of an NRHH chapter. Membership in chapters is strictly limited to one percent of each school’s on-campus residence hall population or 20 members, whichever is greater. NRHH is a very select group of leaders, so being nominated and inducted is a great honor. NRHH was founded on April 25th, 1964 at the University of Denver during the annual NACURH Conference. Between 1977 and 1987, pins and certificates were introduced to recognize members of the honorary. In addition, many awards were created, primarily the Of The Month Awards (OTMs) and the NRHH Outstanding Chapter of the Year Award. Today, there are over 200 chapters across the country. Chapters induct both active members (students that currently live on-campus) as well as honorary members (faculty and staff members that currently work at the institution). The constitution of the Nittany Chapter was approved in October of 1984 and the first group of members were inducted shortly after. The first induction ceremony was held on Sunday, April 21, 1985 at the Penn State Sheraton. Since then, hundreds of members have been recognized by our chapter for their contributions to Penn State residence life. Our alumni have gone on to work in residence life roles in universities across the country as well as become leaders of alumni chapters after leaving their mark on the Penn State community.